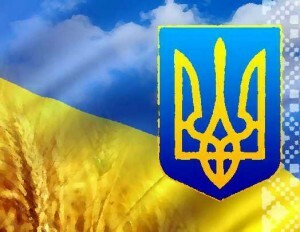 In the National Security Strategy of Ukraine states that urgent tasks of national security policy is the preservation and development of spiritual and cultural values of Ukrainian society, strengthening its identity on the basis of ethnic and cultural diversity. This focuses on implementation set of policy measures aimed at consolidation of Ukrainian society and the search for national consensus on key issues of national development . First, consider a logical stop on the characteristics of the concept of “identity”. It comes from Latin word “indenticus”, which means “equally”. This concept in science is fairly new. In foreign scientific thought, it was confirmed only the second half of the twentieth century, and in the domestic – only after 1990 and today “identity” was one of the main determinants for understanding the surrounding reality. This term is widely used in various sciences: psychology, sociology, philosophy, ethnology, political science, geopolitics, and so on. For centuries, philosophical understanding of identity occurs in within equal problems as the main characteristics being as construction plurality to a single start. Among the classics that explored issues of identity can be called ancient philosophers like Parmenides, Plato’s, Aristotle. In their view identity serves the fundamental quality of life, unity in which no differences and relations close to uniformity . One of the recognized authorities of Western in terms of national identity E. Smith describes it as abstract, multidimensional structure associated with many various spheres of life and is subject to numerous changes and combinations. It’s most important feature is the historical territory, common myths and historical memory, common culture, common legal rights and duties for all members, common economy. The concept of national identity involves primarily the identity and historical identity the presence of the popular masses in the national idea. National identity intricately may be combined with other kinds of identities – class, religious, ethnic, and its ideology – turn to other ideological types: liberalism, fascism, communism . There are two levels of identity – individual and collective. Individual level revealed through personal and social aspects, vertical and horizontal dimensions, the balance of which provides a sense of identity, self-identity. Collective identity – fundamental similarity, between members of a group that is found in solidarity, collective activity, working together. There are self-awareness of various social communities – class family, national group, ethnic group, nation, etc. The complexity and multidimensionality of problems of national identity associated with serious conceptual and categorical challenges in modern science due to ambiguity of interpretation of the term “nation”. The situation is complicated by the fact that “there is no single algorithm emergence and functioning of national movements of modern nations and nation states, but those standards that exist have become mobile and are no longer “work” in the context of globalization . If the nation is imagined or real, the task of the researcher is to follow the process of the construction. In particular, you should find out in force reasons and factors which influenced affirmed This type of collective solidarity, while others disappear. Thus, in our view, equivalent analysis the phenomenon of the nation promising to consider appeal national identity. National identity pressed more familiar traditional approaches to the concept of national identity, national character and so on. Identity is indeed “a prism through which considered, evaluated and studied many important features of modern life” . – for conscious identification of individuals by their subjective attitudes, values . That is, each individual national firstly objectively, and secondly – subjective, he pleads part of a community and culture. So, without the latter, despite the presence of objective factors amorphous national community, it can’t be fully recognize the subject of history. It should be noted that the term “national identity” and “national identity” are dominating character. “National Identity” – the concept is broader because it’s main elements acting national self-determination, national identity and traditional culture. National identity is changing, dynamic formation. Its role and importance in society as can grow and wane, due to the specific historical situation and social environment of the individual and the whole nation. According identify forms of national identity can range of ethnic nihilism to ethnic fanaticism. We must unfortunately say that the current state of crisis social consciousness, weighed down by a sharp polarization of society, ambivalence values, ambiguous assessment of Soviet Heritage does not create appropriate conditions for crystallization national idea on humanistic, general principles of civilization. And various attempts to aggressively build its protective grounds of taste xenophobia lack of constructive potential as stage confrontation the struggle for the affirmation Ukrainian nation has passed. As the embodiment of genetically cultural code of the people and spiritual substance, designed to protect him from depersonalization, national idea has accumulate accumulated historical experience and at the same time reflect clear and acceptable to the majority society perspective. Without civil reconciliation and consensus, it will remain pink dream. To avoid this, rightly observes Lytvyn, “Ukrainian politics must stop being thriller” . So, national identity serves as recognition nation itself; knowledge and respect for history; national culture, territory, their awareness of the people special features, understanding the national group members their interests, aspirations, goals, ideals and needs. National Identity as a sense of love and respect for their country, culture, traditions, language, endowed with a strong historical memory as a unifying and differentiating force. Summarizing the above, we conclude that National Identity treated us as recognition of the people itself, knowledge and respect for the history, national culture, territory, people awareness its special features, the understanding of members of national group their interests, aspirations, goals, ideals, needs etc. The establishment of an effective civil society Ukraine, equitable joining the state in the global political space is possible only if the formation of national identity, which is the key and guarantee stability and security of the Ukrainian state. 1. Wolczuk K. History, Europe and the national idea: the “official” narrative of national identity in Ukraine // Nationalities Papers. – Vol.28. – № 4. – 2000. – P. 688. 2. Taylor Ch. Sources of the self: the making of the modern identity. – Cambridge, Mass: Harvard University Press, 1989. 3. Kartunov, O.V. “Western ethno(national and ethnopolitical concept: theoretical and methodological analysis”, Abstrakt of Ph.D. dissertation, 23.00.02. Political Institutions and Processes, Institute of State and Law. V.M. Koretsky of Kyiv, Kyiv, Ukraine. 4. Liapina, L.A. (2004), “Ethnic and national identity: characteristic theoretical and methodological approaches”, Politychni nauky: Zbirnyk naukovykh prats’, v. 20, рр. 78—81. 5. Nahorna, L. (2012), “Category “national identity” in modern Ethnopolitology”, Naukovi zapysky: Zbirnyk, v. 5, рр. 3—11. 6. Hobsbaum, Eric (1990), Nations and Nationalism since 1780: Programme, Myth, Reality, Cambrige, United Kingdom. This entry was posted in Social and tagged national identity, patriotism, Ukraine on 23/05/2018 by Mary.